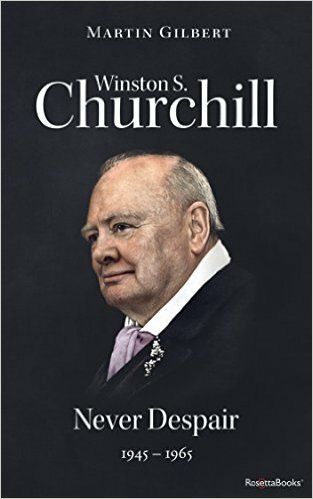 The final volume of the official biography spans Churchill’s life from the defeat of Germany in 1945 to his death nearly twenty years later. It sees him first at the pinnacle of his power, leader of a victorious Britain. In July 1945 at Potsdam, Churchill, Stalin, and Truman aimed to shape postwar Europe. But while still grappling with world issues Churchill returned to Britain for the general election results and was thrown out of office. For six years Churchill worked to restore the fortunes of Britain’s Conservative Party, while at the same time warning the world of Communist ambitions, urging the reconciliation of France and Germany, pioneering the concept of a united Europe, and seeking to maintain the closest possible links between Britain and the United States. His aim throughout was to achieve not confrontation with the Soviet Union but conciliation based firmly upon Western strength and unity. In October 1951 Churchill became prime minister for the second time. The Great Powers were at peace but under the shadow of a fearful new weapon, the hydrogen bomb. Hoping, after the election of Eisenhower in 1952 and the death of Stalin in 1953, for a fresh start in East–West relations, Churchill worked for a new summit conference; but in April 1955 ill health and pressure from colleagues forced him to resign. In retirement Churchill traveled widely; took up painting again; completed the four-volume History of the English-Speaking Peoples; and watched as world conflicts continued, still convinced that they could be resolved by statesmanship. “Never despair” remained his watchword, and his faith, until the end. That end came slowly; for those nearest to him it was a sad decline. Yet almost to his ninetieth year he was able to follow events with hope and faith in the ability of man to survive his own folly.